The Supreme Court on Thursday, rejected an application by SMYR Consortium LLP, the firm that collects toll tax on behalf of Municipal Corporation of Delhi against the withdrawal of Rs. 7 crore by the South Delhi Municipal Corporation (SDMC), from its deposit. The apex court also made strong remarks on the rising air pollution in the national capital and had ask for a comprehensive and planned approach to fight the alarming situation of Delhi’s polluted air. A bench including the Chief Justice T S Thakur and Justice R Banumathi was hearing the application filed by Shyam Diwan, the lawyer for the company. The court rejected the application saying it is clearly mentioned in the contract that SDMC can encash the bank guarantee if toll the company failed to deposit the fixed amount. It also rejected the plea to modify its order regarding imposition of green tax on commercial vehicles entering Delhi. The Consortium had paid only 70 per cent (Rs 7.35 crores) of the mandated weekly charge of Rs 10.54 crores to the SDMC, citing reduced traffic as the reason. 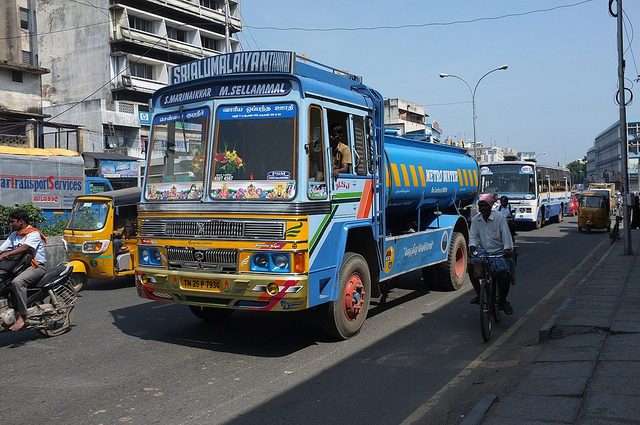 The Consortium claims that since an extra environment cess has been levied on trucks entering the city, the traffic has gone down considerably. The matter is listed for further hearing on 15th December and the bench has asked for a comprehensive plan of short and medium term solutions and will further take up this issue as a whole. Concerned about the city’s pollution levels, Thakur said, "Why is there no discussion taking place? No forum is provided to deal with this problem. There are different committees and they must sit together. Let there be common, acceptable suggestions to solve Delhi’s pollution." The Supreme Court, in October had passed an order imposing Environment Compensation Charge (ECC) of Rs 700 on all light goods vehicles and Rs 1,300 on heavy goods vehicles entering Delhi to control pollution levels. A Centre for Science and Environment report had said that 40-70 per cent of the trucks entering Delhi are not destined for the city.